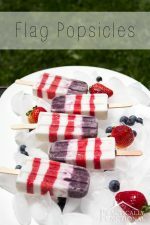 Did you see the cute flag popsicles I made for the 4th of July earlier this week?! 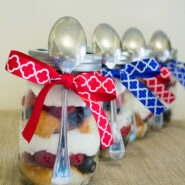 Well I had some leftover blueberries and strawberries, so I decided to put them to good use. 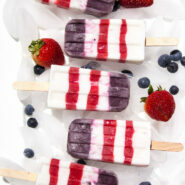 I made red, white, and blue fruit ice cubes with them! 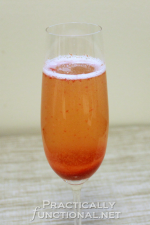 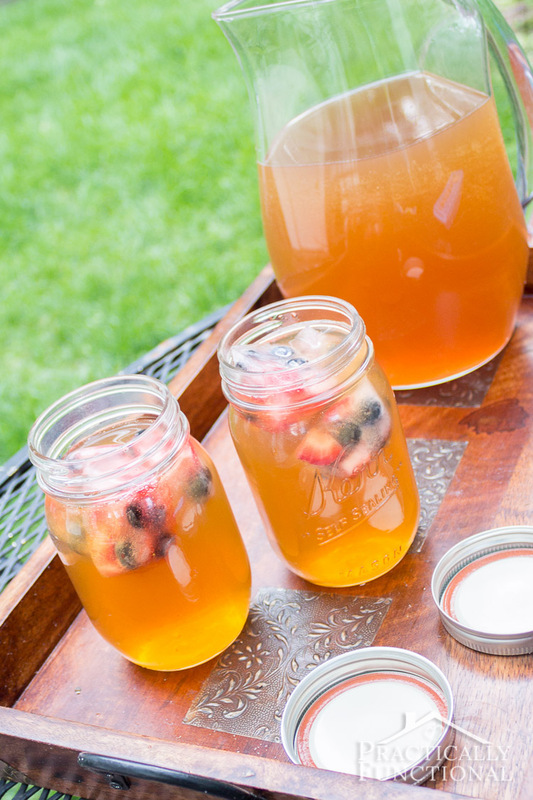 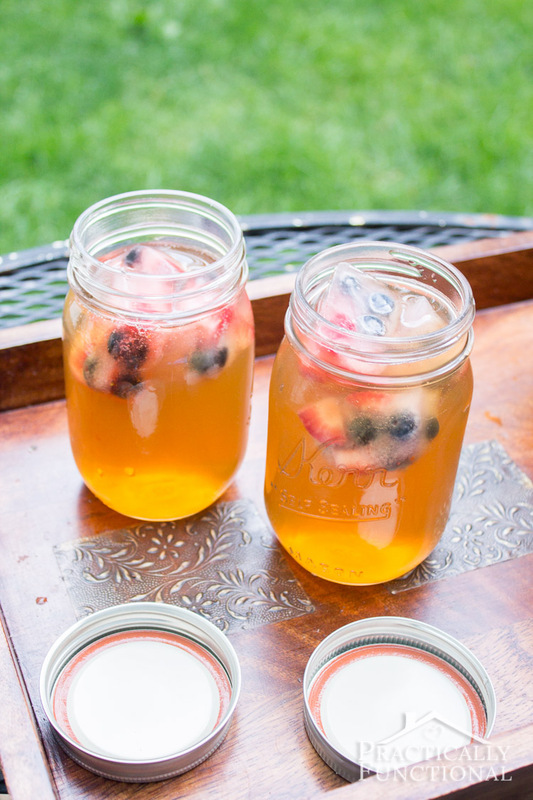 They’re cute and festive, and perfect for any beverage you serve on the 4th of July or Memorial Day! 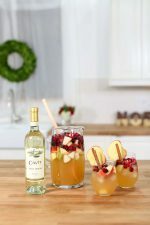 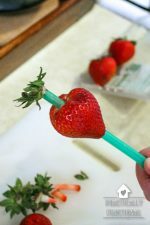 These ice cubes are so easy to make, and the best part is that when they melt, you get delicious fruit in your drink! 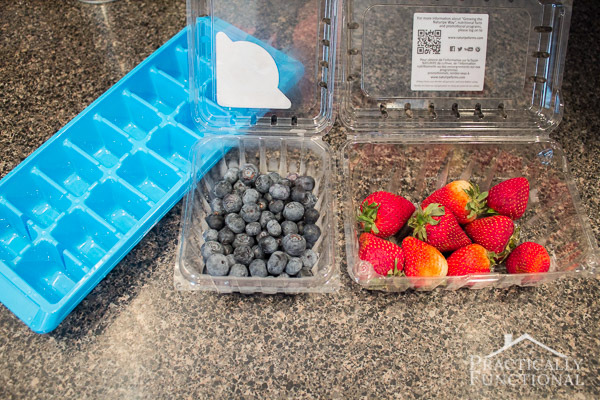 Chop up your strawberries and then fill the ice cube tray with a mix of blueberries and strawberries. Fill the tray with water, and put it in your freezer to freeze, and that’s it! 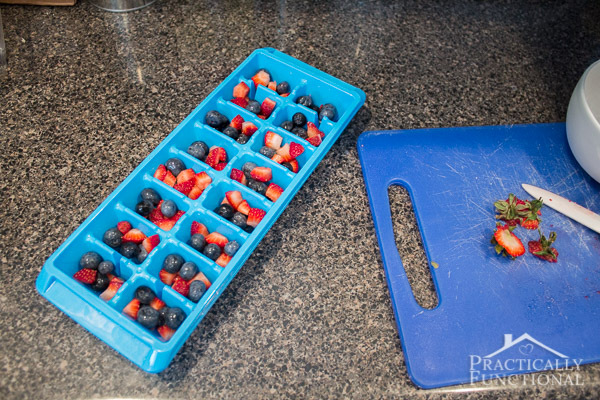 Once the ice cubes are frozen, gently twist the ice cube tray to release them, and put them in your drink! 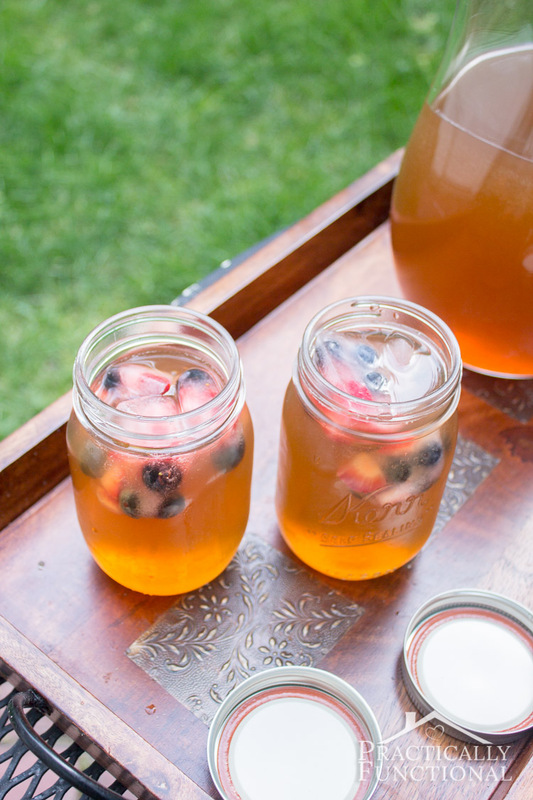 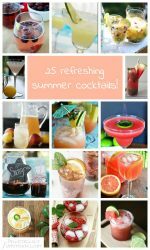 They’re so colorful and festive, and they’re perfect for 4th of July or Memorial Day! 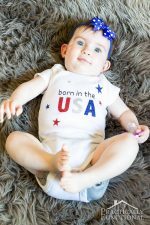 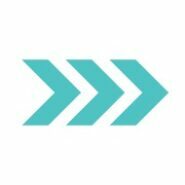 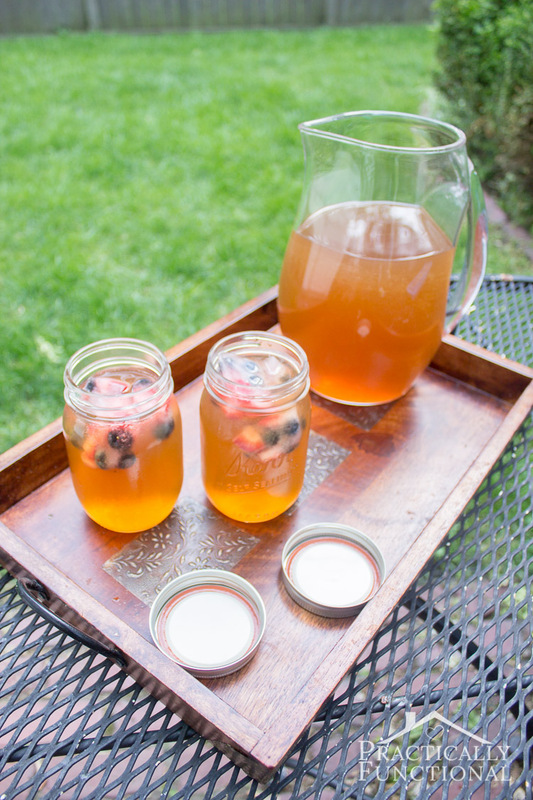 If you liked this project, check out these other simple 4th of July projects! 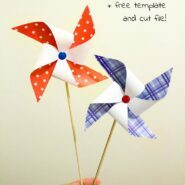 More 4th of July projects!